Green Team Volunteers Saving Bike Tires From Popping! 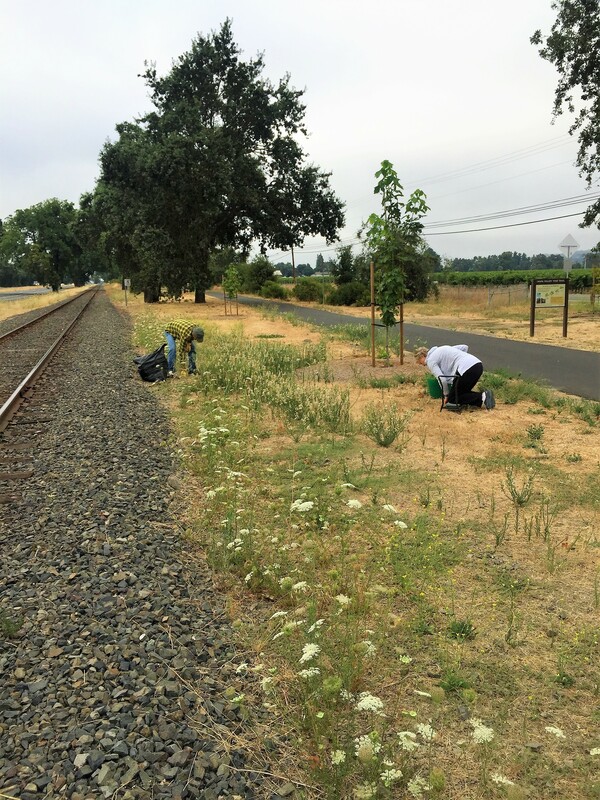 Many Thanks to the wonderful volunteers Anne McMinn, Jerry Riley and Joel King for coming out to the Darms Lane Shelter on Saturday August 19th to help remove the dreaded puncturevine from the Vine Trail. Puncturevine, also know as Goathead, has a woody sharp bur that can puncture a bike tire. 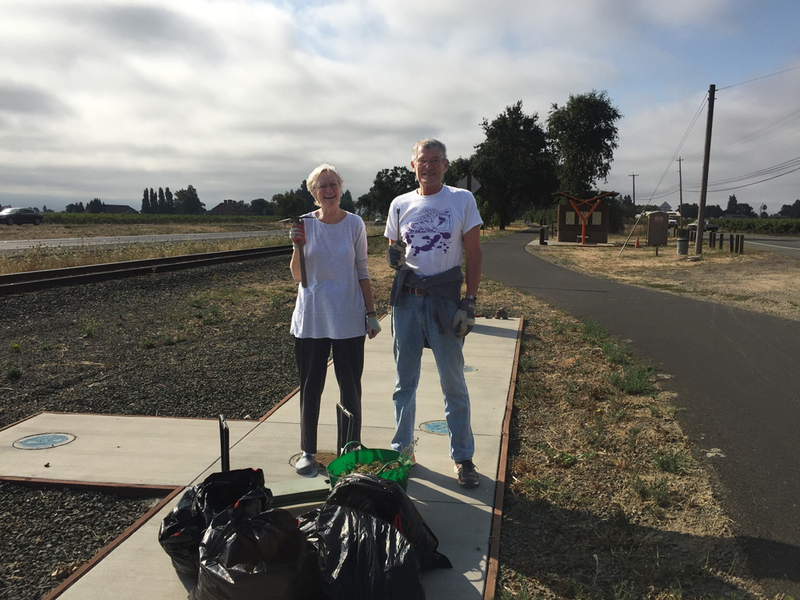 They worked hard all morning and pulled a total of 6 large garbage bags full of puncturevine!